Both brochures and flyers are commonly used in print marketing; however, the terms are not interchangeable. Although people tend to mix the two terms a lot, brochures and flyers have different layouts and purposes. How do you decide if a flyer or a brochure is right for your business? Flyers are produced affordably in mass quantities, in order to distribute essential information to a large audience. They may be known alternatively as leaflets or handbills. A flyer is printed on a single sheet of paper, most often 8 ½ inches by 11 inches in size. Flyers have highly visible, clear and concise text. This is a cheap way to convey your information, and is often used to promote a service, a product, or a one-time event like a concert or a business grand opening. Flyers are most often distributed by hand to a large gathering of potential customers or mailed in bulk to specific geographic areas. Since they are printed affordably, with limited information, flyers are meant to be thrown away after they are read. Brochures (or pamphlets) are meant to be kept on file for reference, so they are usually printed on slightly heavier stock. They are useful for conveying detailed information and come in many different sizes and configurations. The most common is the tri-fold — an 8 ½ inch by 11 inch piece of paper folded to create six separate panels to convey information. Constructed from higher quality materials than a flyer, a brochure is also more labour-intensive, given the amount of information that is provided. Therefore, brochures are more costly to produce and are usually not given out freely to large crowds of people. They are often displayed in areas where people who are interested in the product or service tend to gather. 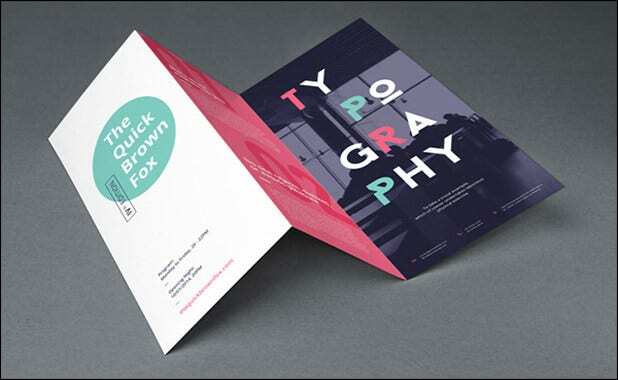 Is a brochure or a flyer the appropriate way to convey your message? Both are highly effective marketing tools, with different uses! Contact your closest TPH location today to discuss which format is right for your next project. Image sources: flyer image, brochure image.